THIS is the recess page - somewhere to rest when you are too tired (or like me, too poor!) to shop. So how's about a little history? P. S.: This page will be under construction for some time, so step around the debris and catch whatever links you can! Sometimes we have to scavenge for the scraps of history, chipping away at the sources until we find some structure . . . Visiting my great, great, great, great, great, great grandfather, Lieutenant Robert Sanford (1655-1728). 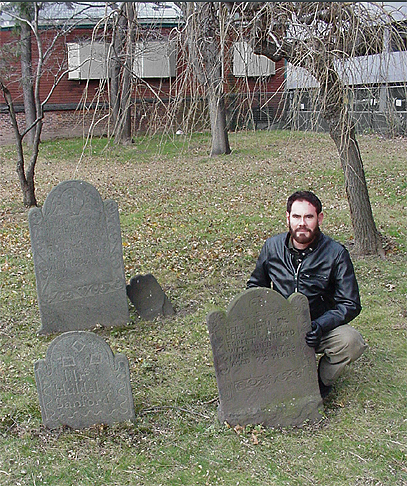 Ancient Burying Ground, Hartford, Connecticut (located and photographed on a bitterly windy afternoon with the help of several friends, November 29, 2003). through the snow down to the main creek? DECADE. An Informal Glance Backward Over Ten Years in Business, 1981 - January 9 - 1991. Seventy-seven favorite items sold during my first decade in business. Click here - or on the picture - to read the catalog. 1) "Mormon Book Collecting," centering on the first-edition Book of Mormon, why people collect such things, and what makes it so expensive. 2) "The Collecting Urge." Collecting is for everyone: you don't have to be rich. Pictures at the top of this page: A little nostalgia, showing the proprietor of this site on the farm in Boise, Idaho, about 1950. An LDS chapel now stands on the precise spot where I once stood. 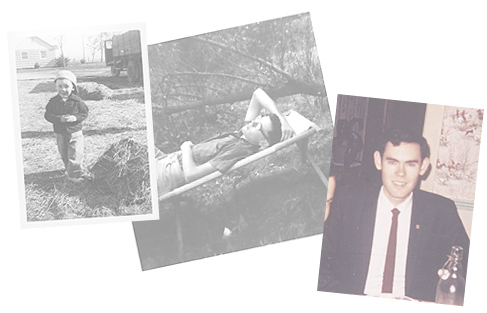 Other pictures show the subject lounging on a WWII campcot in the woods near Idaho City, ca. 1964, and enjoying a Christmas dinner in France, around 1968. 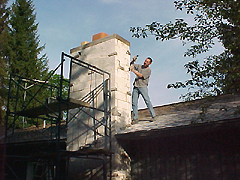 Much older but obviously no wiser, he is seen on the roof during the spring of 2001, preparing the chimney for resurfacing.